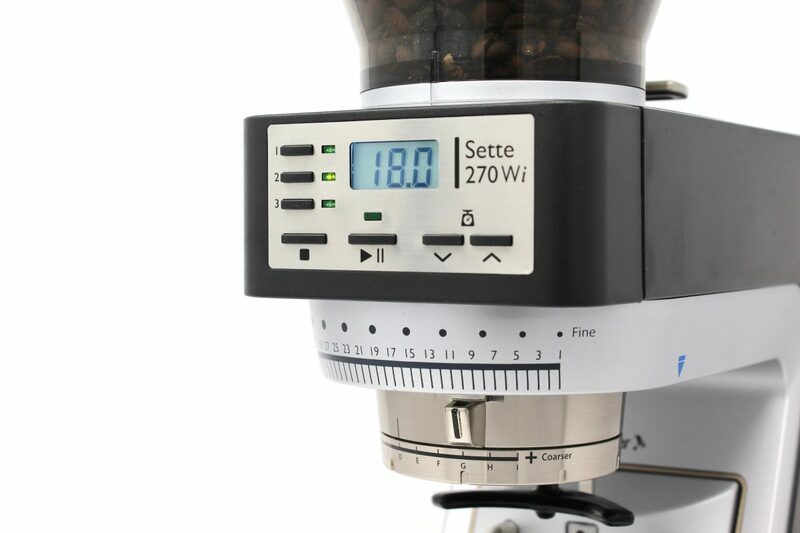 The Sette 270Wi introduces two revolutionary design innovations to espresso grinders and enables incredible functionality for home users. 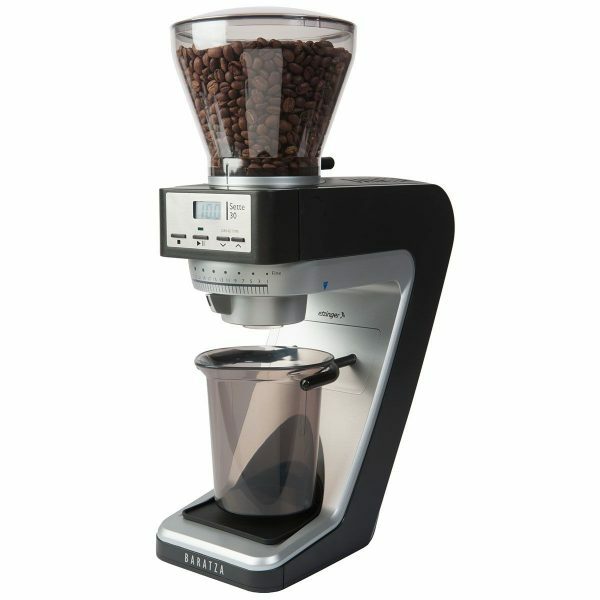 This machine is the first – and currently the only – espresso grinder offering grind-by-weight functionality directly into a portafilter. Precise, accurate dosing to within a few grams (2- 3 beans!) directly into your portafilter makes quality, consistent espresso a breeze. 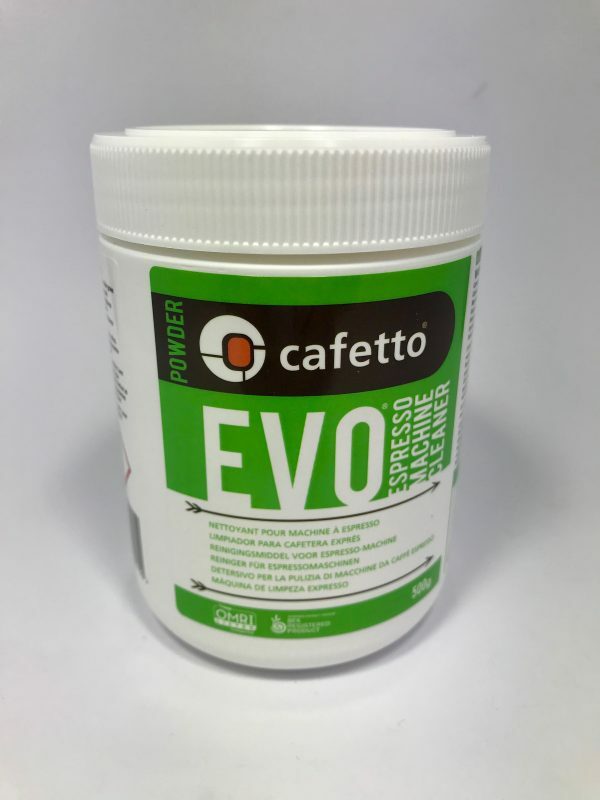 The mouth feel and flavour clarity of espresso pulled on the Sette out-classes other home espresso grinders. 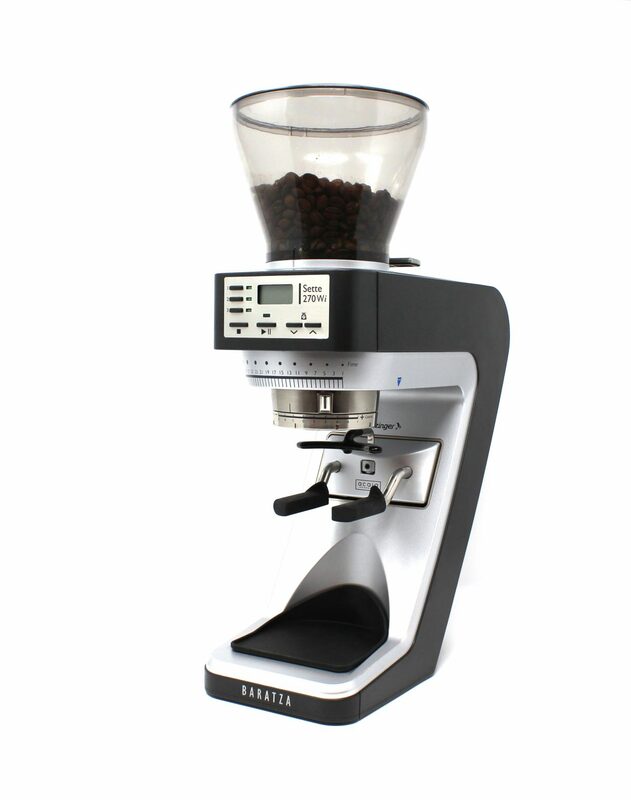 The multitude of features offered by the Sette makes dialing in espresso simple and hassle-free. 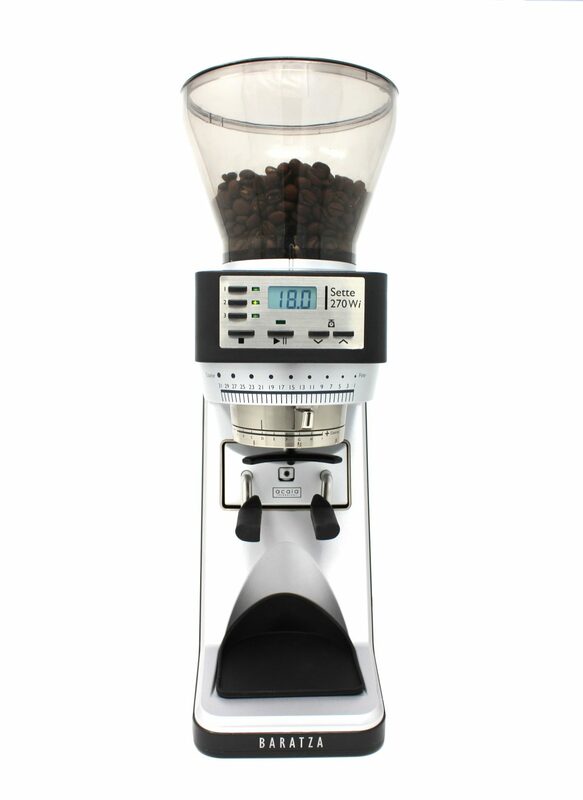 Thirty steps of macro-adjustment and a fully step-less micro-adjustment system gives the user has a near-infinite number of grind settings to allow for the best, most precise dial-in on any Baratza grinder. This allows room for even the most attentive taster to explore delicate layers of sweetness, acidity, and body for all types of espresso from classic Italian dark roasts to progressive light roasts. The i in Wi stands for intelligent – the machine will learn from its own dose errors and modify the amount of coffee it produces with consecutive grinds. The result is greater accuracy over time.